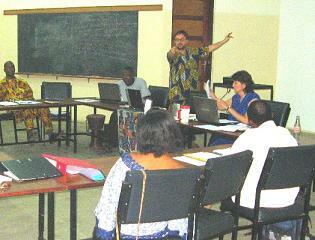 Adventures in West Africa with Rob & Lois » Blog Archive » African Tongue-twisters! 4 Comments posted on "African Tongue-twisters!" Something along the lines of “The pope ordered his cutlery too late in Spiez”.. best said in a thick BÃ¤rner accent! So, if you’re getting married in Germany better make sure there’s no red cabbage at the reception for the bride to spill down her bridal gown. Ach so! Blaukraut ist auf mein Brautkleid gefallen!